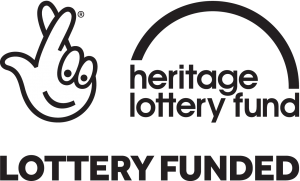 This Is Us, supported through the Heritage Lottery Fund (HLF), has been created in consultation with local residents, community organisations, support services for young people and heritage organisations in Sincil Bank and Lincoln. Working in collaboration with local residents we invite participants to explore the history of industry and migration in the Sincil Bank area of Lincoln through contemporary digital photography, new media, storytelling, and film. This Is Us focuses on the changes in the Sincil Bank area of Lincoln through the history of locally based engineering firm Robey & Co Ltd (Est 1854 to 1988) and its workers. Story of Us – A series of storytelling workshops to share your stories, memories and pictures of Sincil Bank and make your own scrapbook using photography, writing and painting. Picture of Us – Two creative outreach photography projects to explore the industrial heritage and changes of the Sincil Bank area by documenting buildings, sites, streets and organisations surrounding Robey & Co Ltd. We will be working with young people (aged 16+) from Lincolnshire Employment Accommodation Project (LEAP Lincoln), NACRO Lincolnshire Support Partnership and adults with English as a second language (ESOL). Lives of Us – We are looking for local residents to take part in our Community Ambassador scheme (volunteers 18+). You will have the opportunity to be trained in interviewing, recording and interviewing people with a great story tell about living in the area, who may have worked or knew someone who worked in Robey’s factory. The Ambassadors will work with a local filmmaker to produce a film about the history of the place and its people. This Is Us will also host a series of pop-up screenings showing relevant historical films from the Media Archive for Central England (MACE) and the new Lives of Us film, as well as a book about the project featuring everyone involved. Look out for updates on #ThisIsUs and other exciting projects and opportunities by signing up to our newsletter and following us on social media. This Is Us – the past, present and future of Sincil Bank, Lincoln is funded by National Lottery Grant and supported through the Heritage Lottery Fund.